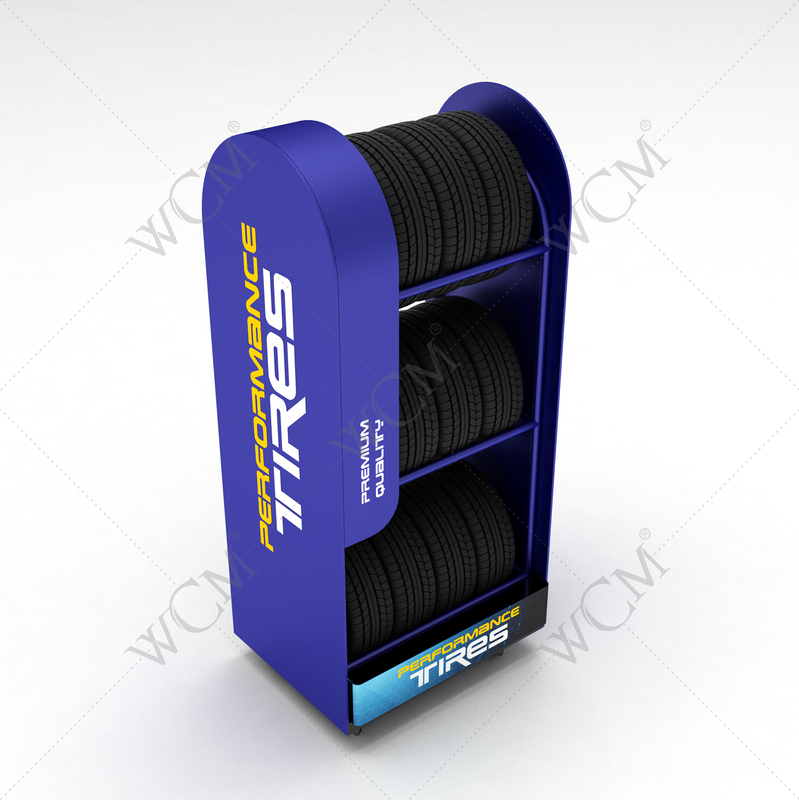 Tire display stand production needs professionality. Because vehicle tires are produced in different sizes and weights. So design and production of this type of stands should be made with precision. Strong materials such as metal sheets, metal wires and wood. 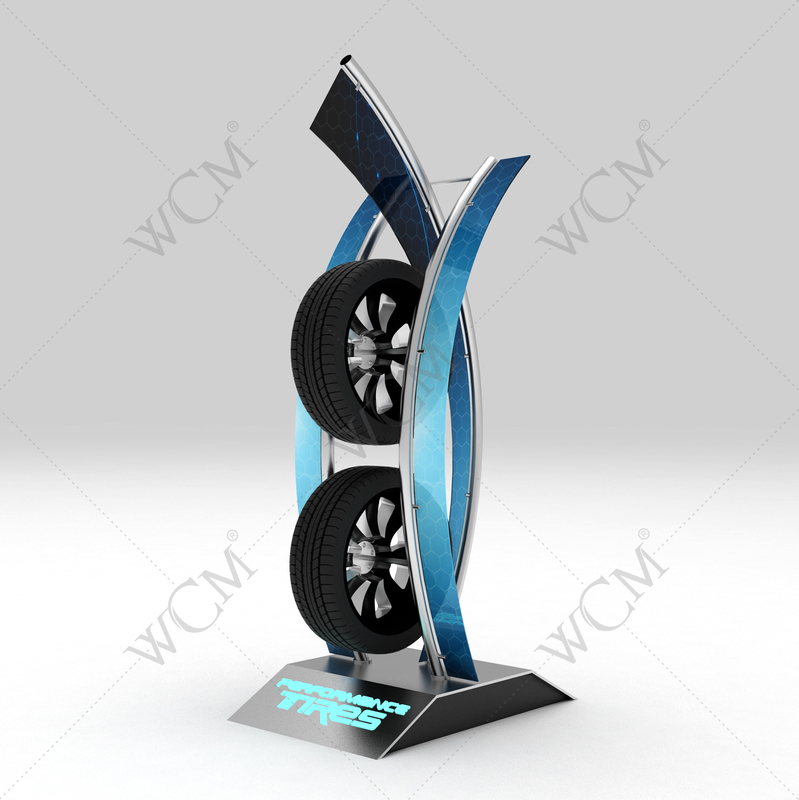 You need to choose qualified and experienced firms for production of tire display stands. 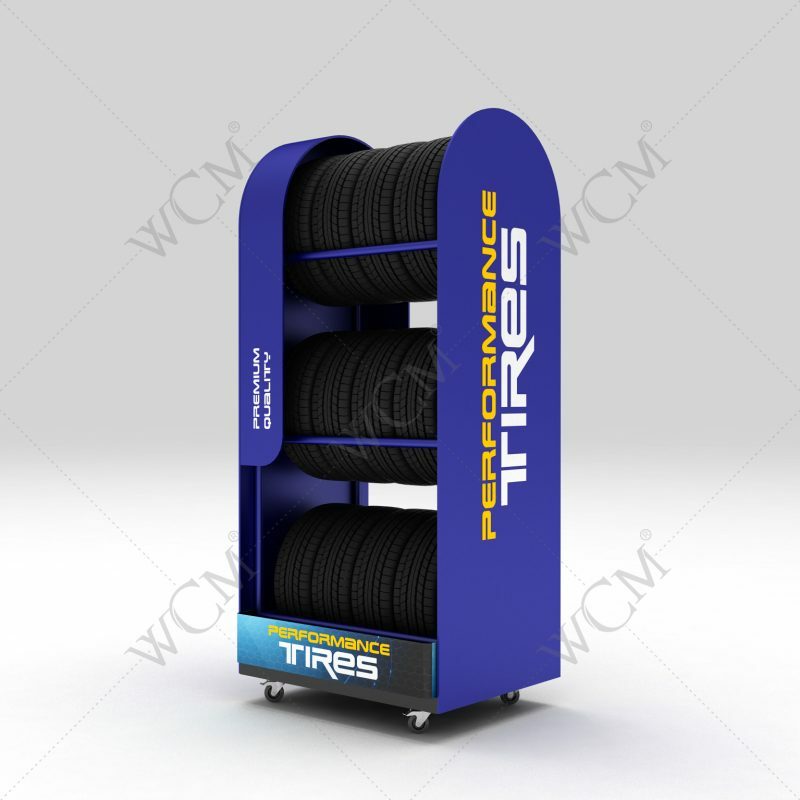 We as WCM FACTORY is ready to build the best tire stand for you. 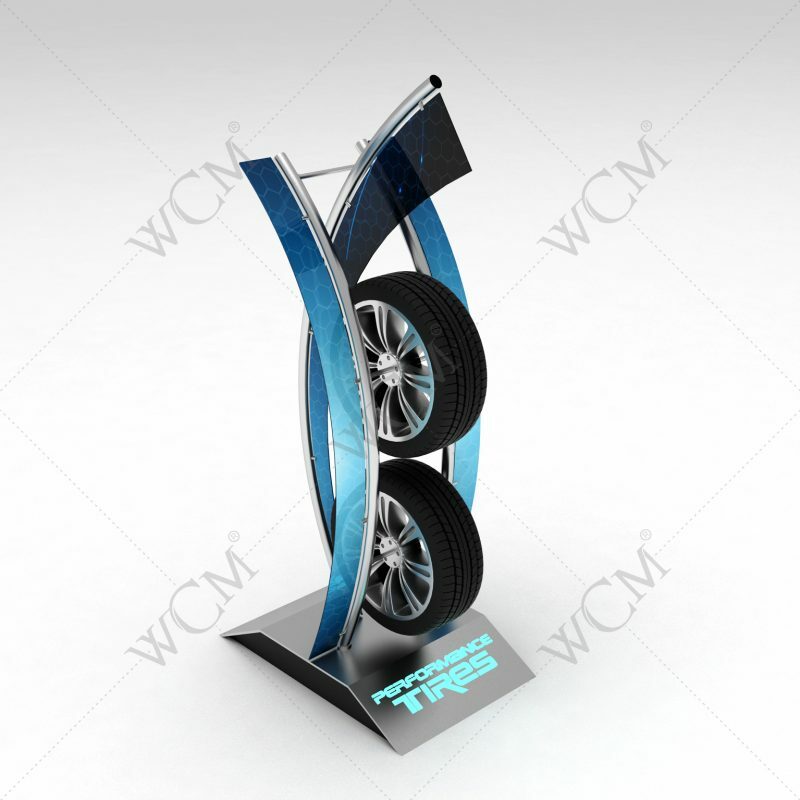 WCM Factory is one of the best companies which are producing store and display stands and ensures that you display your product portfolio in the best way with the products which are manufactured with materials such as wires and metals. WCM Factory produces stands with shelves, hangers and baskets and podous, benchtop, hanging structures and with various features and functions, so provides you to present your products at points that make you able to reach your target group and increase your sales.